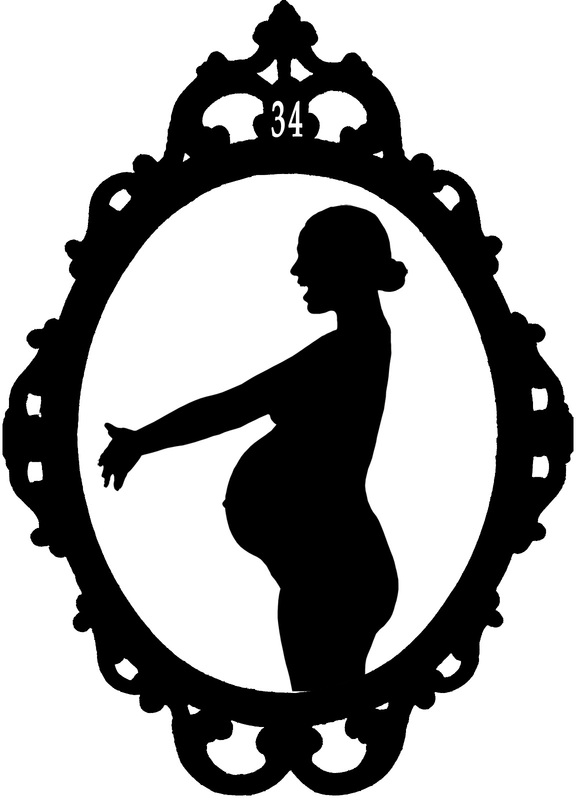 I'm almost 37 weeks now, but we've been crazy busy with home renovations, working on some of our rental units, and dealing with sick kids. Pelvic instability has hit. I can feel my joints loosening, especially the symphysis pubis. Whenever I get up from sitting or lying down, I have to do belly dance hip circles before I can move. I also ran into major sleep issues about 10 days ago: inability to fall back asleep after 3 or 4 am. I finally gave in and started taking a half dose of Unisom 3 days ago, and it's made a tremendous difference. I feel like a normal, functional person again. I haven't had any of the weird breathing issues I had during Inga's pregnancy, thank goodness. All I can do now is hope and pray that I won't have the baby until he gets back. The baby has been hanging out ROT/ROP recently. Still quite active and tons of movement up front and/or stretching my belly from side to side. Zari and Dio love to feel the baby squirm and kick and hiccup. Inga knows to say that there's a "baby inside Mama belly"--not sure how much of that she really understands, though. She found a container full of newborn socks and soft fabric shoes, and she's been carrying them around all day, exclaiming in a high-pitched voice, "baby shoes! baby socks!" One of the big stressors I had to deal with while Eric was gone was evicting a family from one of our rentals. They moved in and didn't pay another penny of rent, ever. So we went through the whole eviction process...and then they didn't move out on the designated day.They gave excuse after excuse, but still they wouldn't leave. Finally I got them out 2 weeks past their eviction date and went by to pick up the keys. They had already left the apartment by time I arrived, probably because they had completely trashed the apartment in just 3 short months. It felt like a slap in the face, since we had just renovated the apartment from top to bottom. I've spent hours and hours scrubbing down walls, carrying down furniture, vacuuming carpets, and smashing bugs, with Dio and Inga in tow. Ugh. Ugh. I CANNOT understand how people can live like that. 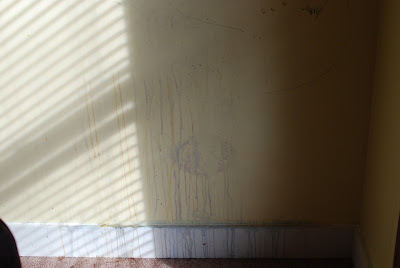 We've had to completely repaint the apartment--no small task in a 3-bedroom, 1,000 square foot space. (We hired someone, since I've been too busy painting and tiling at our own house.) It's almost done now. Next up: having the carpets deep cleaned. I'm sorry, but having 3 small children is NO excuse for treating an apartment like that. 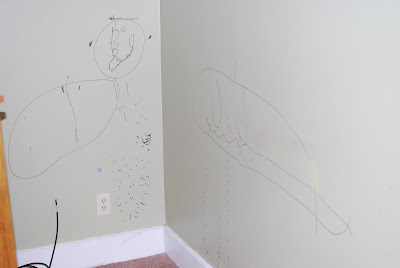 For the place to be that badly damaged, the parents had to be not only allowing this behavior, but encouraging it. The month of December was busy preparing for family to visit. We repainted the upstairs hallway, back staircase, and master bedroom. That may not sound like much, but we had to repaint all of the baseboards, doors, crown moldings, and trim before we could paint the walls. That made everything take ten times longer. Plus we take forever to choose paint colors. I like that Eric cares about home decoration--but it definitely slows the process down! I'm currently working on painting our living room. A few days ago, I decided that I really wanted the room done before the baby arrives, preferably by this coming weekend. I've painted all the baseboards and some of the crown moldings. It's a pain to be up on the stepladder, and I can only do so much before I get dizzy. So this quilt square helps me remember my sixth month of pregnancy. I named it "Painting." Can men ever really understand pregnancy or birth? I remember learning during a freshman course on ethnobotany how, in some Polynesian cultures, men would get neck-to-knee body tattoos. It was the closest they would be able to come to understand the pain of childbirth. At that time, labor & birth seemed like horrific, disgusting, and disempowering experiences, and I resented that women had to endure them. Full-body tattoo with no pain medication? I thought. Serves them right! In publishing, landing a spot on the "Today" show has traditionally been thought of as a publicity holy grail. Is that why Benjamin Percy wore a pregnancy suit to get there? And did he have any idea just how strange the experience would be? Not wearing the pregnancy suit for nine weeks -- trying to talk to Steve Harvey. Harvey gets so discombobulated that, apropos of nothing, he asks Percy if he's ever bitten a man. Percy does have one of the most arresting voices in contemporary American letters. He's also known for writing fiction with a specifically manly bent, like "The Wilding," which is about three generations of men in one family who go on a hunting trip. So imagining him walking around as a pregnant woman does present a little cognitive dissonance. He committed to a simulated mini-pregnancy, wearing a high-tech pregnancy suit made in Japan that got bigger each trimester. "It looks a little like a flak jacket," Percy writes, describing his mommy-gear in militaristic terms. A chronicle of his experience -- which included shopping, attending public events, and getting a sweaty rash -- appears in this month's GQ. Here's the Today Show interview. So, what do you think? Is it commendable that men are trying to understand what a woman experiences when she's pregnant? Or, since they can never really understand what it's like, is it just another way to garner praise and attention? 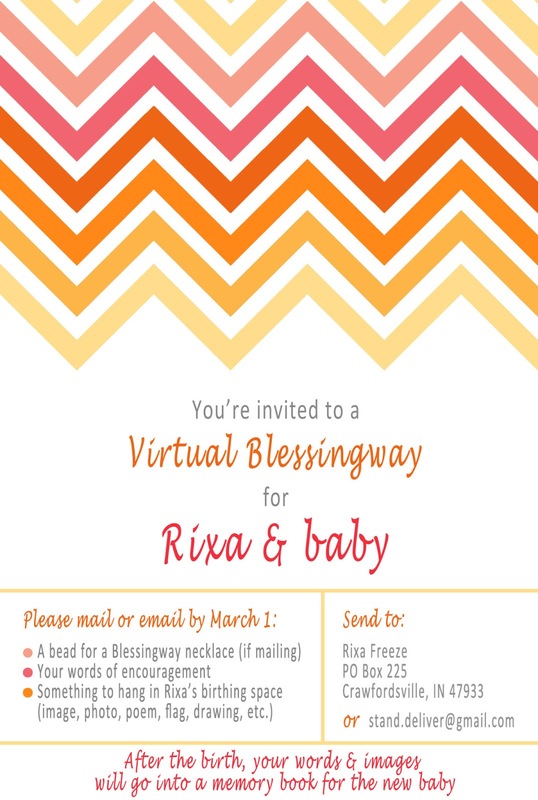 I hope you can be a part of my Blessingway! I've decided to host a virtual celebration before the baby comes. Then after the birth, I'll have a gathering at my house for friends and family to welcome the baby earthside. I hope all of you can join in helping me prepare for this baby's arrival by sending a bead, a note of encouragement or wisdom, and something to decorate my birthing space. If you can't send something by mail, please email your contributions, and I will print them out for you. I'll be keeping everything I receive to put into a memory book. Please send your blessings as soon as you can. I have a jewelry maker friend who's going to help me put the necklace together. I'm a day away from being 35 weeks--yikes!--so time is short for her to collect all the beads and then ship the finished product to me. I hope you can all be a part of this celebration! After batch dyeing 6 different hues for a duvet cover, I tried my hand at ombré dip-dyeing. Dharma Trading Co. advises starting with the lightest shade first, while Rit Dye's tutorial starts with the darkest shade first. Which works better? *Note on end color: I was aiming for a turquoise with some green undertones, but the end hue was a greenish teal. The kelly green was surprisingly strong. If you're aiming for a bluer hue, cut the kelly powder in half. Fasten the lid tightly and shake well. Even a few drops of this concentrate will stain your fingers a deep hue! If your dye calls for it, moisten your fabric before putting into the dye bath. If you want to leave the top undyed, then do NOT wet the fabric. 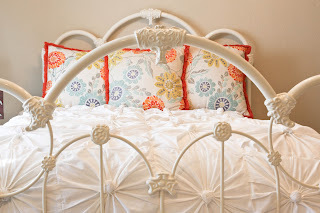 You will need some way to hang your fabric and move it progressively upward. I suspended my fabric with a sturdy hanger. I was dyeing a double length for ring slings, so I simply folded the fabric twice lengthwise to fit on the hanger, then put the hanger in the middle. 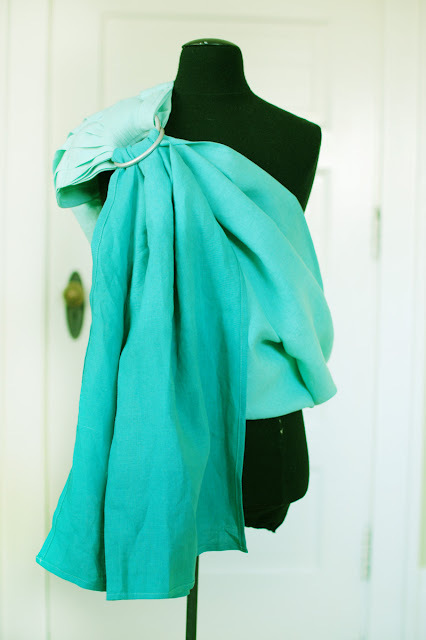 If you're only dyeing one length/garment, you'll need to attach it to your hanger with safety pins. Next, I attached two ropes to a tree branch and moved my fabric up in 6" intervals. (I used two ropes to more easily jump back and forth between lengths, but you could make do with one rope.) I tied single knots in the rope and slipped the hanger hook through. The rope held 5 1/2 yards of wet fabric with no slipping. Fill your pot/bucket with boiling water. Start by adding a tiny amount of dye for the lightest hue, around 1/4 tsp or less per 4 gallons of water. I used a bucket heater to keep the water hot. You could also use your stovetop or campstove. Add entire length of fabric to the dye bath and agitate constantly. (If you're keeping the top undyed, suspend the undyed end above the dye bath.) I kept my fabric folded over the hanger, but you might find it easier to take it off for this first step. Aim to keep the fabric in the dye bath for at least 10-15 minutes to ensure an even tone, so don't add too much dye concentrate at first! You can always add more if needed. 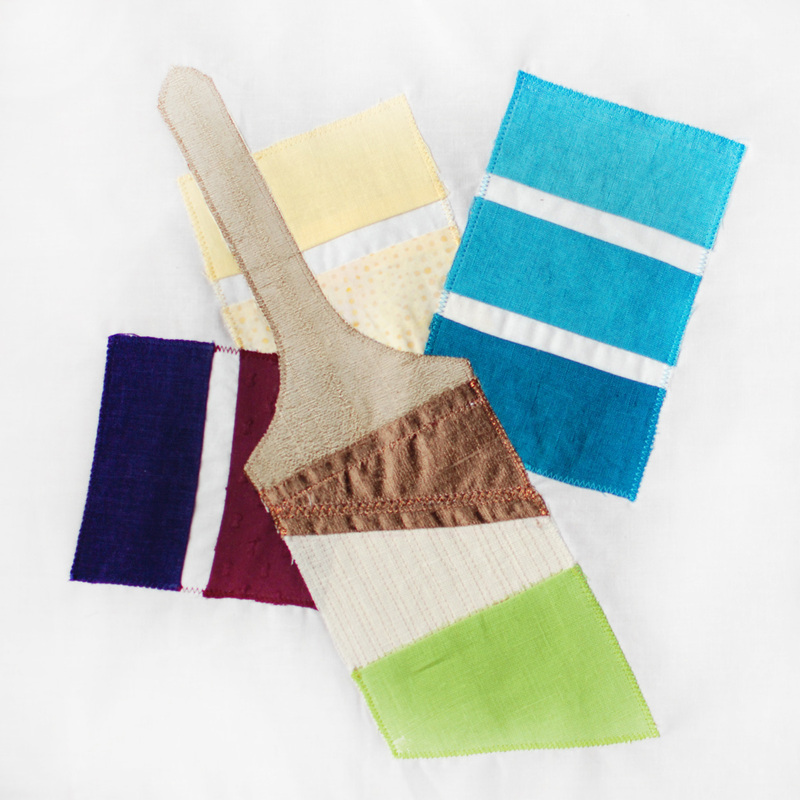 Tip for adding additional dye concentrate to a dye bath: Remove the fabric before mixing in additional dye concentrate. The last thing you want to do is to pour dye concentrate right onto the fabric; you'll end up with a dark spot! When the fabric has reached the desired shade, elevate one end 6" above the dye bath. (You may choose smaller or larger intervals depending on the length of the fabric/garment you're dyeing). Add a tiny bit more dye concentrate (start with 1/8-1/4 tsp) and gently agitate the fabric. My tip: Every time I moved to a deeper hue, I elevated the fabric 12", carefully stirred in the dye solution, then lowered it back 6". This ensured a more even gradation between hues. 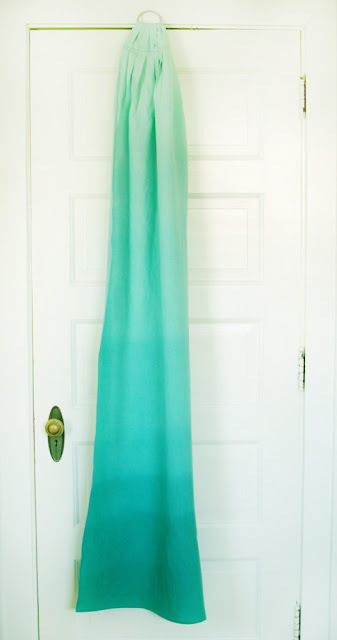 I would also ladle the deeper dye bath up a few inches on the suspended fabric to help soften the hue changes. 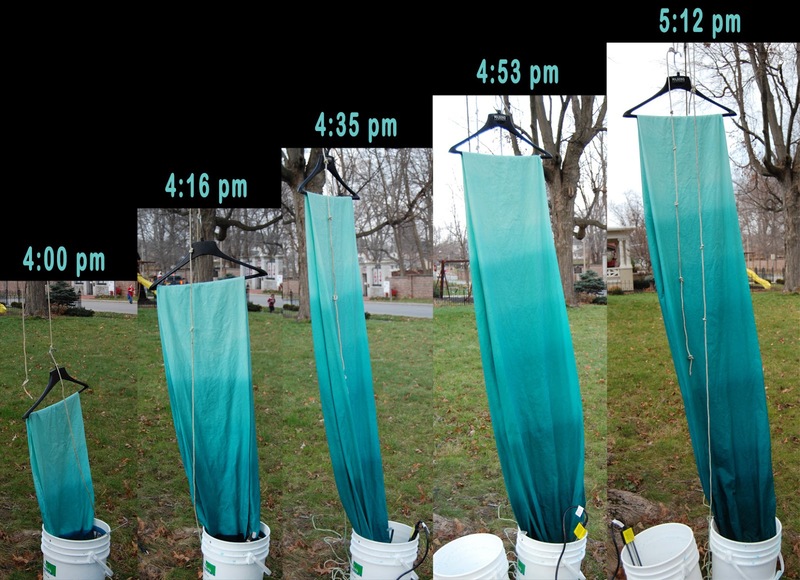 Here's a picture showing successive dye baths, starting with the 3rd color change and ending with the last one (I did about 9 color changes in total). Every 5-10 minutes, lift the fabric up another 6" and add more dye concentrate. Continue to gently stir the fabric to ensure an even hue. As you reach the deeper shades, you'll add progressively larger amounts of dye concentrate and let the fabric sit for longer intervals. Your deepest hue should sit in the dye bath for around 30 minutes. Once the last part of the fabric has reached the desired hue, remove the fabric out of the dye bath. Always rinse from top (lightest) to bottom. If you're outdoors, simply elevate the fabric and rinse in place with a hose until the water runs clear. Remember, the fabric will be lighter once it's been rinsed, washed, and dried. Machine wash the dyed fabric with dye fixative. The lines between hue changes disappeared after rinsing & machine washing. I was very pleased with the end result! I had over 12 yards of white linen on hand, otherwise I would have used jersey sheets to make the knotted squares duvet. I also had another bolt of pale ivory linen, so I used the extra dye to dip-dye fabric for ring slings. Now that I've done two different methods of ombré dyeing, I wanted to share my tips & tricks. Today's tutorial will be on ombré batch dyeing (dyeing each shade separately). Stay tuned for a dip-dye ombré tutorial. I batch-dyed six different shades using 2-yard pieces of linen. I used six 5-gallon plastic buckets and dyed outdoors. This will be very messy, so try to do this outside if at all possible! I kept the water hot using a bucket heater (found at farm supply stores). Now that I've done this once, I recommend dyeing everything in one bucket, one shade at a time, starting with the lightest shade and adding successively more dye to the same water (Method B). But first I will explain how I actually did it using concurrent batches (Method A). If your dye calls for it, pre-moisten your fabric before putting into the dye bath. 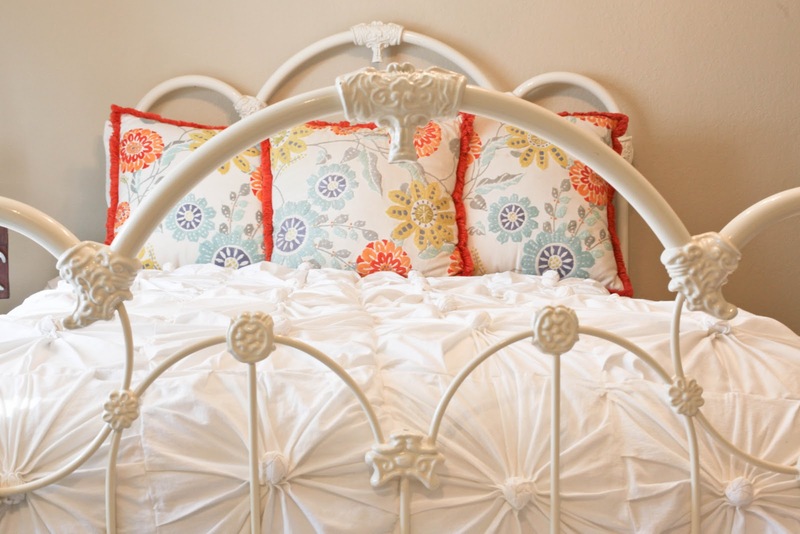 When the fabric has reached the desired shade, rinse with cool water until the water runs clear. (Remember, the fabric will be lighter once it's been rinsed, washed, and dried.) I dyed my fabric outside and had a hose on hand, so it was easy to refill my rinse buckets. Machine wash the dyed fabric with dye fixative. I washed the 3 lightest hues together, then the 3 darkest hues. You could probably wash them all at once too. I filled six 5-gallon buckets with 4 gallons of very hot water per bucket and added about 1-2 cups of non-iodized salt into each bucket. Add a small amount of dye to the first bucket and successively more amounts of dye concentrate to each bucket. I started the first bucket (lightest hue) with about 1 Tbsp of dye concentrate to 4 gallons of water and it was WAY too much. I'd suggest starting with 1/4 tsp or less of dye concentrate per 4 gallons of water for the lightest hue. Remember, you can always add more dye if needed. My last bucket (deepest hue) had 6-8 Tbsp of dye concentrate. So ideally, your starting to ending dye ratio will be at least 1:50 and perhaps close to 1:100. Darkest dye bath (#6) on the left; shade #3 on the right. For the first few shades, you really won't need much dye. 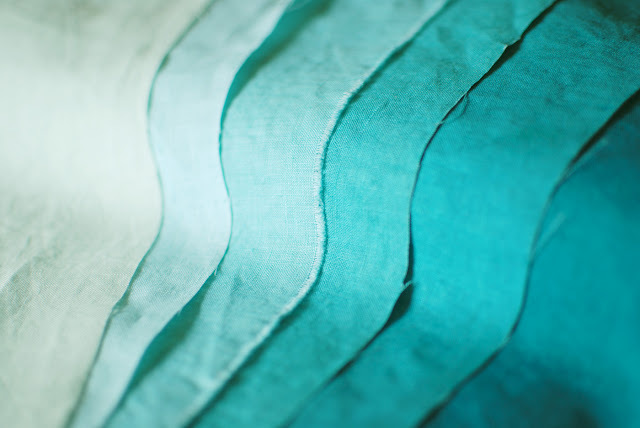 It's better to have a more dilute dye solution and let your fabric sit for a while, than to have a more concentrated solution and a short dyeing time. Why? If your fabric is in the dye bath for only a few minutes, it won't come out evenly dyed. (I learned this the hard way!). Aim for at least 15 minutes in the dye bath for the lightest shades. Once you've mxied the dye concentrate into the water, add the wet fabric. Keep the fabric hot using a burner or a bucket heater. 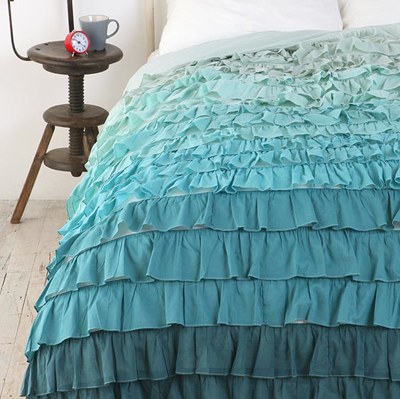 While you're dyeing each shade, stir constantly to ensure the fabric is evenly dyed. Again, aim for a minimum of 15 minutes for the lightest shades and more for mid- and deep tones. Your deepest hues will sit the longest in the dye bath, ideally 30-60 minutes. Rinse dyed fabric until water runs clear. Fill your pot/bucket with very hot water. Start by adding a tiny amount of dye for the lightest hue, around 1/4 tsp or less per 4 gallons of water. Add fabric and stir constantly. Aim to keep the fabric in the dye bath for at least 15 minutes (for the lightest shades) and 30-60 minutes (for the darkest shades) to ensure an even tone, so don't add too much dye concentrate at first! You can always add more if needed. When the fabric has reached the desired shade, remove & rinse. Keep your rinsed, wet batches close by so you can visually assess when your next batch is the right shade. Using the same dye bath, add a little more dye concentrate (maybe 1/4 tsp) for the second lightest hue. Then add your wet fabric. Rinse when the fabric is the right shade. Repeat for each successive shade. Each time you go a step darker, you'll be adding successively larger amounts of dye concentrate. So while you might add 1/4 tsp for the 2nd batch, you'll probably add 1tsp for the 3rd batch, 2-3 tsp for the 4th, 1-2 Tbsp for the 5th, and so on. Remember, you can always add more dye if the fabric hasn't darkened sufficiently after at least 10-15 minutes in the dye bath. Why do I recommend doing each hue successively in the same dye bath, rather than all at the same time? You have more control over the end results. By starting light and going successively darker, you will have the best results achieving gradual tone changes. It's hard to do 5-6 batches at the same time, especially with larger pieces of fabric. You simply can't stir, heat, assess dye color, and rinse all by yourself. You'll likely find that some batches have gone too dark too fast and that others are splotchy. 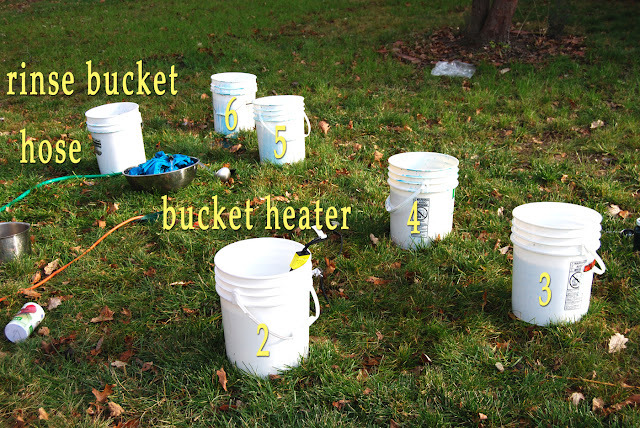 You only need one large pot/bucket for dyeing, instead of 6! Eric sent me an article last night about The link between kids who walk or bike to school and concentration. I haven't been able to get our school administrators to request a crossing guard, despite everyone agreeing that the intersection we cross is fairly dangerous for pedestrians. Zari's kindergarten has implemented drastic new security protocols since the school shooting in Connecticut, including a lock-down policy and intercom buzzer to get in the front door. My school "can't afford" to supply a crossing guard for 20-30 minutes a day total, even though we cross that street four times a day, five days a week. Yet after Newtown, her school immediately spent untold thousands of dollars to prevent a highly unlikely event. Because they "care deeply about students' safety." So maybe the safety angle just won't work with our local elementary school. Maybe they will support students walking or biking to school if I can demonstrate that driving or busing to school negatively affects children's concentration. I stand firm that we are doing Zari a favor by walking her to and from school every day. She's learning to rely on her own two legs to get her places, rather than on burning fossil fuels. She's getting 2 kilometers of extra exercise every day. She's learning that walking isn't always easy or fun in the winter, but that it's worth the effort of bundling up and getting fresh air. 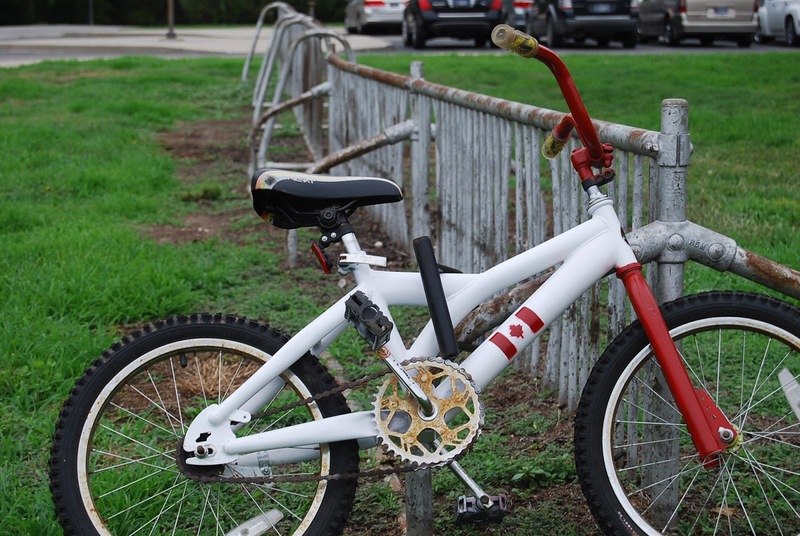 For now, though, we are alone in our commitment to walking and biking our child to school. * The bike rack remains unused except for Zari's lone bicycle. Don't you love the awesome spray paint job on her bike? Vive le Canada! "The results showed that having breakfast and lunch has an impact, but not very much compared to having exercised," Egelund told AFP. "As a third-grade pupil, if you exercise and bike to school, your ability to concentrate increases to the equivalent of someone half a year further in their studies," he added. So what could turn the trend around? The connection between active transportation and better physical fitness is well-documented and intuitively easy to draw, and yet apparently not compelling enough....Nationally, as of 2009, only 13 percent of kids in the United States walked or biked to school, down from 50 percent in 1969. Marc Schlossberg, Page Paulsen Phillips, Bethany Johnson, and Bob Parker. "How Do They Get There? A Spatial Analysis of a ‘Sprawl School’ in Oregon." Planning, Practice & Research, Vol. 20, No. 2, pp. 147 – 162, May 2005 (PDF). From the introduction: "For over 50 years, communities across the United States (US) have experienced a shift away from small, neighbourhood schools to large ones located on the urban periphery. Two effects of this type of ‘sprawl school siting’ are increased traffic congestion during school pick-up and drop-off times and decreased walking and cycling by children accessing school....When school sites are remote, and children do not walk or ride bikes to school, they are deprived of the opportunity to exercise. This, in combination with a variety of other factors (poor diets, television, the popularity of video/computer games) has lead to an increase in the number of overweight and obese children in the US." * There are 2-3 families living in the immediate neighborhood who also walk; they don't have to cross any busy intersections because they live on the other side of the highway. 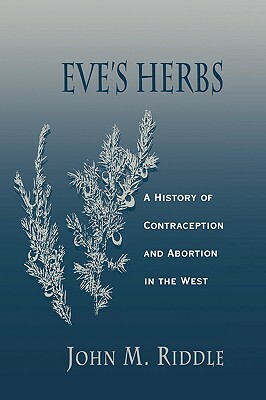 Eve's Herbs: A History of Contraception and Abortion in the West by John M. Riddle. I've read bits and pieces of this during my graduate school years, but this is a fascinating compilation of how women controlled their fertility from thousands of years ago until the present. 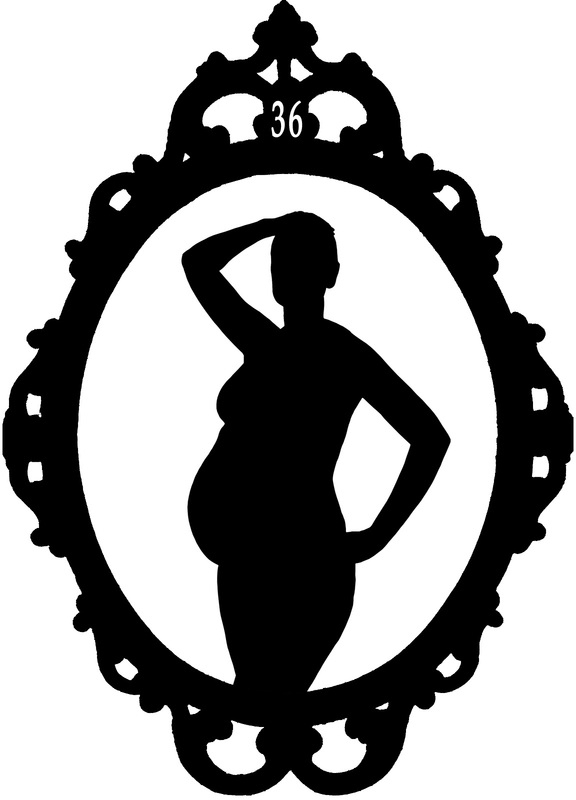 Before ultrasound or over-the-counter pregnancy test and before our modern understanding of pregnancy, women often viewed a cessation of menstruation--which may or may not have been due to pregnancy--as dangerous. They would take herbs to bring on menstruation, and these herbs nowadays have known abortifactent effects. Definitely worth reading. I had to return it before I was able to finish it, so it's on my to-read list once I can ILL it again. 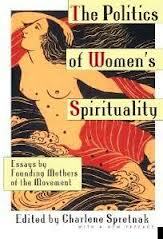 The Politics of Women's Spirituality: Essays by Founding Mothers of the Movement. I originally checked this out to read an essay I saw cited, but I can't remember which one it was. I paged through much of the book, but didn't actually read it in depth. I found the early 2nd wave feminism a bit too simplistic for my tastes. But it's valuable as a marker in the evolution of feminist thought. 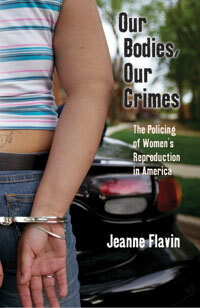 Our Bodies, Our Crimes: The Policing of Women's Reproduction in America by Jeanne Flavin. Just started this today. I might use part or all of it for a freshman tutorial on reproduction that I hope to teach next fall. A blog acquaintance shared a huge file of ebooks, so I've been reading two historical novel series set in England ranging from the 1100s-1600s. I've had fun learning all sorts of tidbits about English history. The first series included The Pillars of the Earth and World Without End by Ken Follet. Next was the Morland Dynasty series by Cynthia Harrod-Eagles, a set of five books beginning with The Founding. 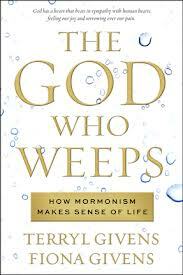 My mom gave me Terryl Givens and Fiona Givens' book The God Who Weeps: How Mormonism Makes Sense of Life for Christmas. They argue that the most compelling characteristics of a God worth worshipping is his vulnerability and compassion, his capacity for feeling and understanding human pain and joy. The book's prose sometimes is more fanciful that I usually care to read, but still quite moving. Also worth your time are the interviews with the authors at Feminist Mormon Housewives (Episode 27: The Nature of God and the Feminine Divine) and a 2-part interview (Episodes 385-386) at Mormon Stories. 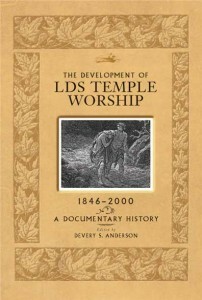 Development of LDS Temple Worship, 1846-2000: A Documentary History. This book has a short narrative introduction, but most of it is, as the title suggest, a compilation of original source documents relating to LDS temples. So it's not something you'd exactly want to sit down and read straight through for enjoyment, but if you're researching the historical origins of certain policies or practices, this is the place to go. 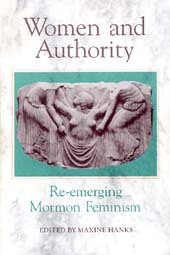 Women and Authority: Re-Emerging Mormon Feminism edited by Maxine Hanks. A classic collection of essays and stories published in the early 1990s. 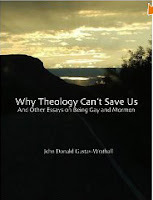 Why Theology Can't Save Us, and Other Essays on Being Gay and Mormon by John Gustav-Wrathall. I first listened to his extended interview with John Dehlin on Gay Mormon Stories and was so moved by his life story that I wanted to learn more (to listen, go to Part 1, Part 2, Part 3, and Part 4). I saw this book and (guilty admission) bought it right away for my Kindle. He really breaks apart preconceived notions of what it means to be both gay and Mormon and how one might reconcile the two. On the subject of gays and Mormonism, you can't miss reading Carol Lynn Pearson's books, from Goodye, I love You to No More Goodbyes: Circling the Wagons Around Our Gay Loved Ones to The Hero's Journey of the Gay and Lesbian Mormon. I have a subscription to the Exponent II, a quarterly magazine for Mormon women's writing. Feminist Mormon Housewives (and its associated podcast) keeps me sane. I've also started following the FMH Facebook discussions. Mormon Stories podcasts. I don't listen to everything (not enough time!) but I do download the most interesting ones. Great for when I'm walking around town or watching the kids. Gay Mormon Stories podcasts. I've listened to every one. Really interesting. Doves and Serpents. I love their Parenthood Juggle series. What have you been reading? I need to start compiling a postpartum reading list, like I did when Inga was born.